Instrumental is the leading data-driven music scouting platform. 20,000 tracks are uploaded to music streaming platforms every day. Even more music content is posted to social networks every hour. The challenge now is to cut through the noise and discover the highest-potential talent. The Instrumental music scouting platform works as a connector between the music industry and emerging artists. The platform is at the forefront of data-driven online scouting, monitoring billions of data points each day, to deliver real-time intelligence on emerging artists to A&R and talent scouting teams in the music and entertainment industry. The Instrumental subscription platform is currently tracking over 460,000 artists and 5,080,000 Spotify tracks, and works by highlighting artist momentum through dynamic audience reach data. Instrumental is the leading data-driven music scouting platform, counting all three majors, a range of leading independent labels and entertainment industry heavyweights like Live Nation among its customer base. Get in touch to request a demo here. Instrumental are the leaders in online talent scouting. 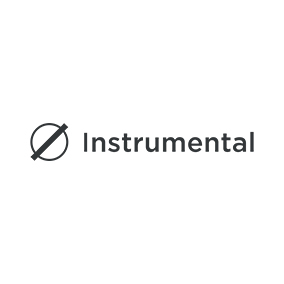 The Instrumental platform is currently tracking over 460,000 artists and 5,080,000 tracks. Roughly 45% of the artists on the platform are not signed to a major label, highlighting the huge pool of talent waiting to be discovered.